I can’t say I buy many Burda patterns, but since I was browsing the Simplicity website I figured I would take a look and I found a few great patterns. 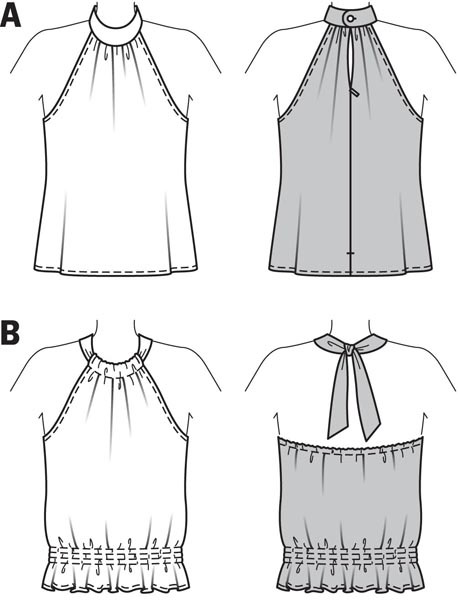 Burda 6968 – This is a vintage pattern for a very cute top. It’s nice to see some retro patterns from the 1970s, and Burda has 4 in their new collection. Burda 6970 – I just love the vavavoom style of this sweetheart neckline dress. The bustier/skirt combo seems very Kim Kardashian to me. 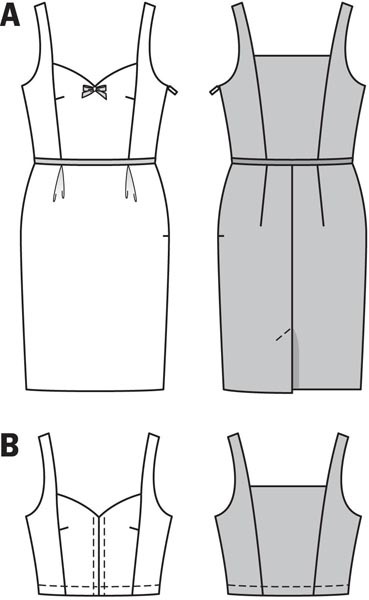 Burda 6916 – I’m intrigued by geometric construction of these dresses. I do worry about trying to do an FBA.